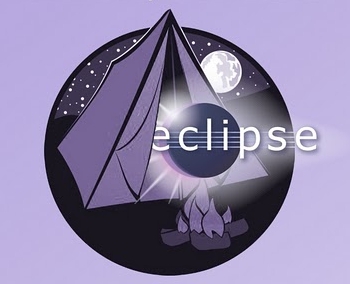 During June 2013, we are inviting individuals to organize and attend Eclipse DemoCamps or Hackathon around the world to celebrate the Eclipse Kepler release. The Eclipse DemoCamps are an opportunity to showcase all of the cool interesting technology being built by the Eclipse community. They are also an opportunity for you to meet Eclipse enthusiasts in your city. Hackathons are a chance for developers to gather and hack away on bugs and feature requests to come up with a reasonable patch by the end of the evening. The format of a DemoCamp is pretty informal. The idea is for a group of Eclipse enthusiasts to meet up and demo what they are doing with Eclipse. The demos can be of research projects, Eclipse open source projects, applications based on Eclipse, commercial products using Eclipse or whatever you think might be of interest to the attendees. The only stipulation is that it must be Eclipse related. Take a look at [http://projects.eclipse.org/list-of-projects List of project on eclipse.org] or on [http://en.wikipedia.org/wiki/List_of_Eclipse_projects Wikipedia], [http://en.wikipedia.org/wiki/List_of_Eclipse-based_software also Eclipse-based software]. <b>DemoCamps</b> are an opportunity to showcase all of the cool and interesting technology being built by the Eclipse community. They are also an opportunity for you to meet Eclipse enthusiasts in your city. The format of a DemoCamp is informal. A group of Eclipse enthusiasts meets up and demos what they are doing with Eclipse. The demos can be from research projects, Eclipse open source projects, applications based on Eclipse, commercial products using Eclipse or whatever may be of interest to the attendees. Hackathons are also very informal. Just a group of Eclipse hackers that meet up and hack away on various bugs and feature requests for a certain Eclipse project. Attendees usually break out into groups of 2 or 3 and get hands on support from a veteran of the project to help ensure that a patch can be completed. The only stipulation is that it must be Eclipse related. Take a look at [http://projects.eclipse.org/list-of-projects List of project on eclipse.org] or on [http://en.wikipedia.org/wiki/List_of_Eclipse_projects Wikipedia], [http://en.wikipedia.org/wiki/List_of_Eclipse-based_software also Eclipse-based software]. Here's an example of a [http://wiki.eclipse.org/Eclipse_DemoCamps_November_2012/Vancouver Hackathon from November 2012]. <b>Hackathons</b> are a chance for developers to gather and hack away on bugs and feature requests, and come up with a reasonable patch by the end of the Hackathon. They are also informal &ndash; a group of Eclipse hackers meets up and hacks away on bugs and feature requests for a particular Eclipse project. Attendees usually break out into groups of two or three and get hands-on support from a project veteran to help ensure that a patch can be completed. Here's an example of a [http://wiki.eclipse.org/Eclipse_DemoCamps_November_2012/Vancouver Hackathon from November 2012]. The only stipulation about these events is that they must be Eclipse related. Take a look at the list of projects on [http://projects.eclipse.org/list-of-projects eclipse.org] or on [http://en.wikipedia.org/wiki/List_of_Eclipse_projects Wikipedia], and the [http://en.wikipedia.org/wiki/List_of_Eclipse-based_software Wikipedia list of Eclipse-based software].